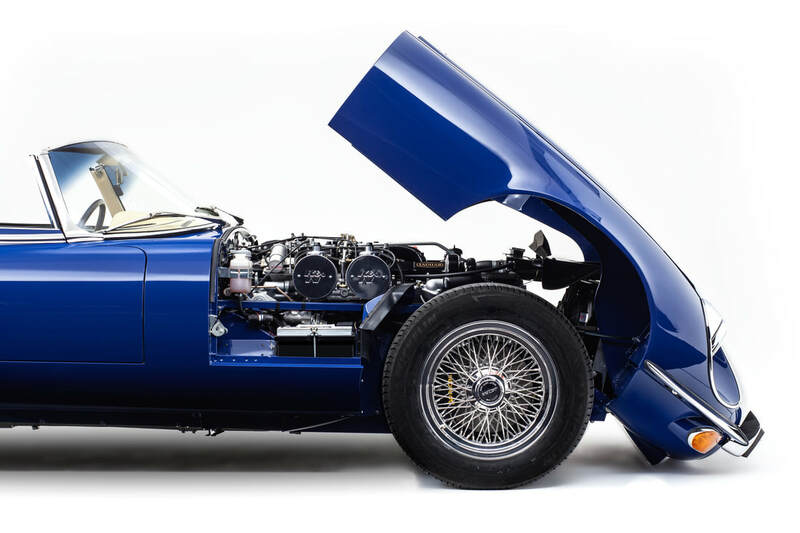 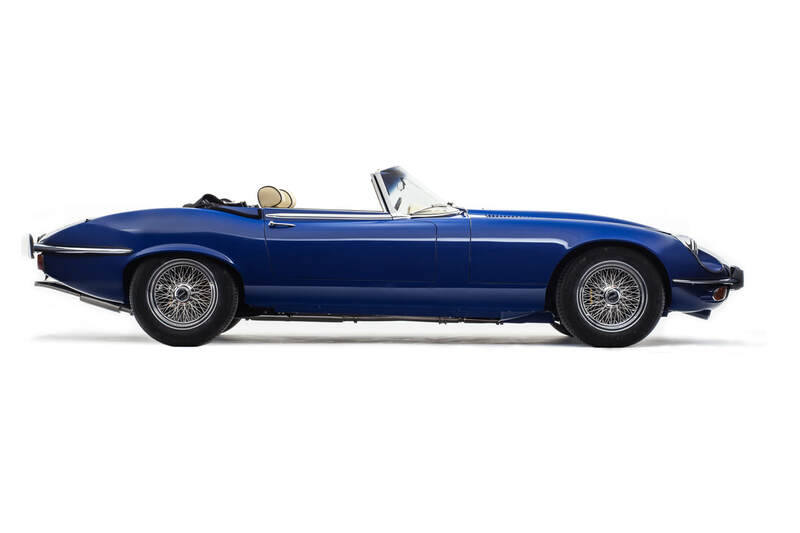 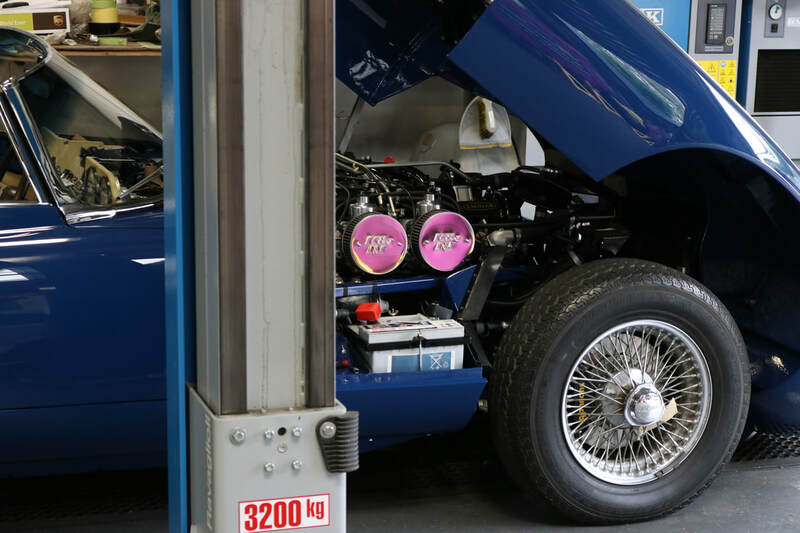 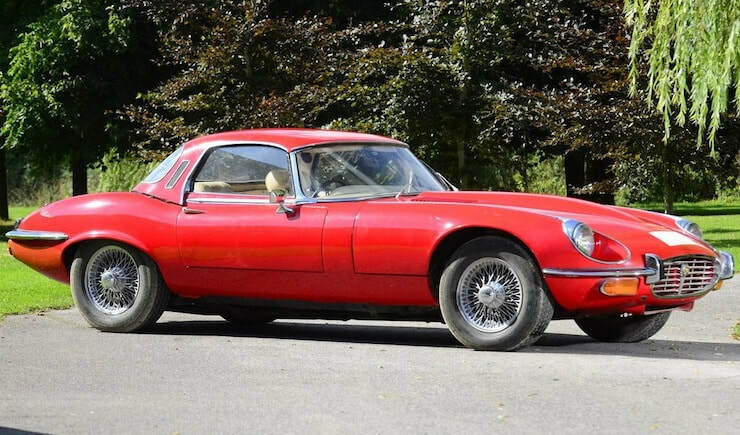 An original matching numbers UK car had spent the past 20 years in dry storage in Qatar while owned by a private collector, the car originally left the factory in Lavender blue and was then re-sprayed red twenty years ago by the Qatari collector. Our client purchased it via a Bonhams Auction in 2013 and commissioned a zero compromise restoration with ourselves with performance upgrades and enhancements making it arguably one of the finest S3’s you will find, a hugely satisfying build with all the fit and finish on point. 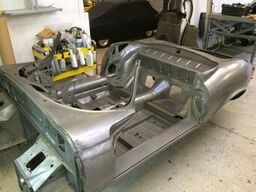 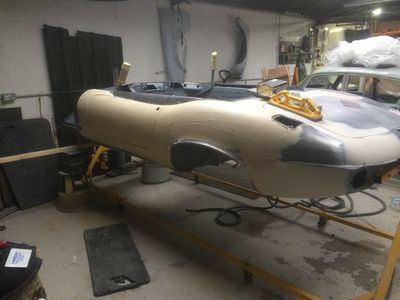 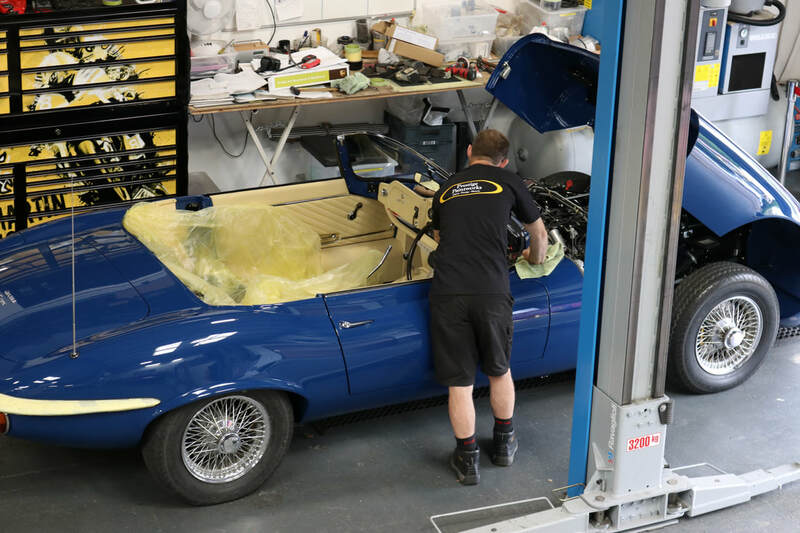 ​Prestige Paintworks work to date has involved dismantling the car to its bare shell and chemically dipping it to remove all paint, filler and rust to determine the extent of poor repairs and corrosion that has taken place over the years. 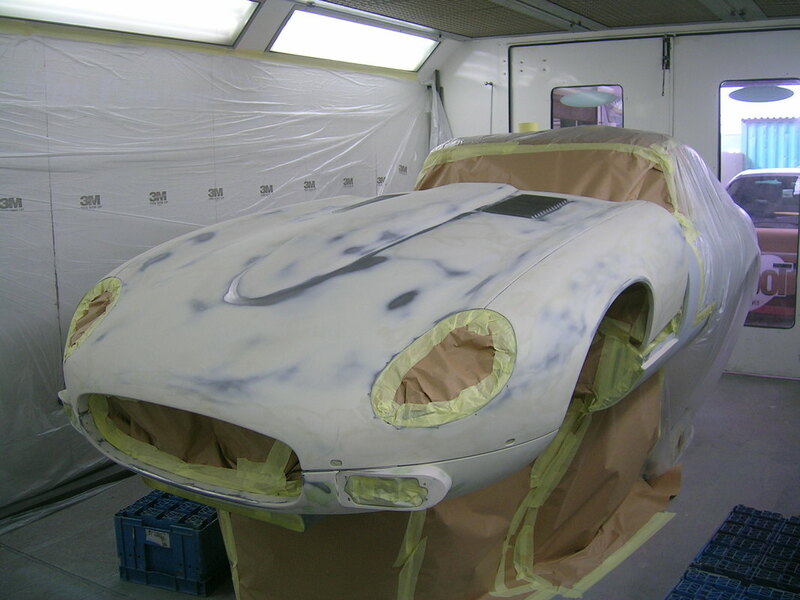 Any corrosion and damage was addressed once the car was back from dipping, which was minimal. 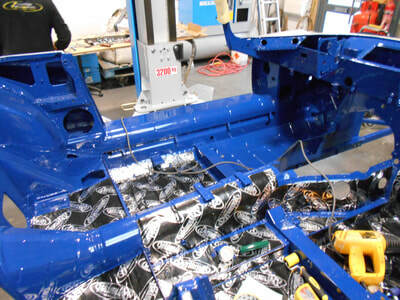 Both heel boards and a few patches were the extent of the corrosion. A testimony to it being kept dry for so many years. 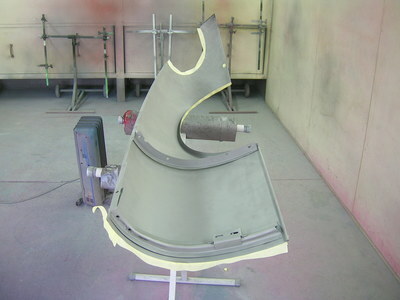 Once completed it was ready to be levelled prior to polyester. 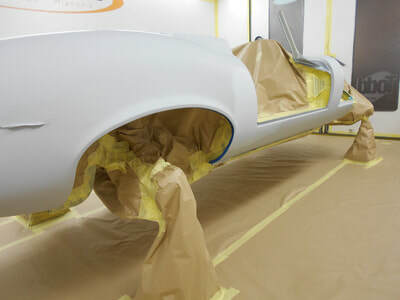 Once the polyester was blocked down through the grades to our satisfaction it was masked for paint. 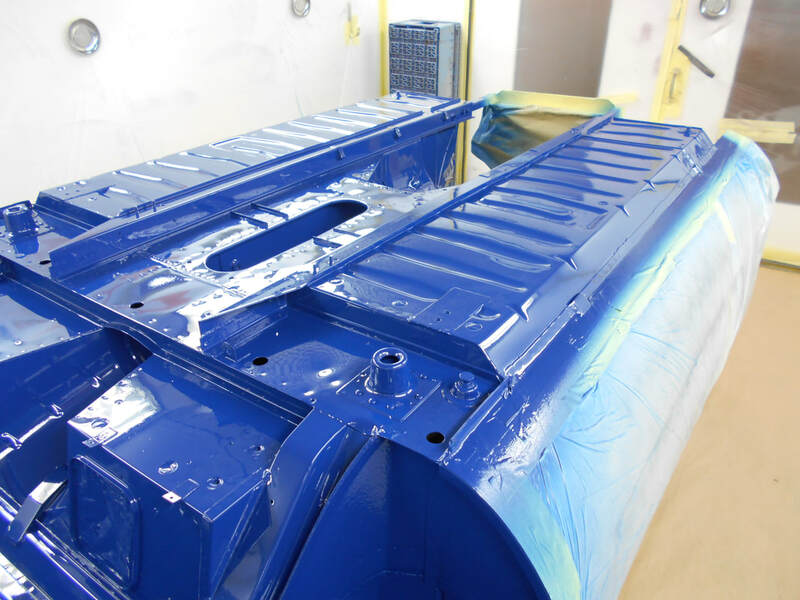 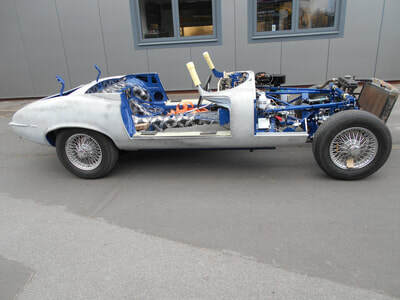 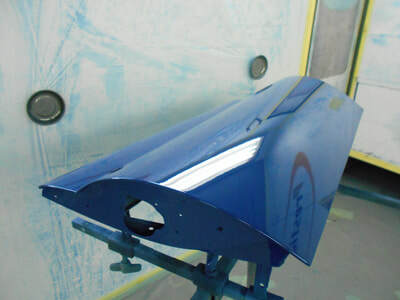 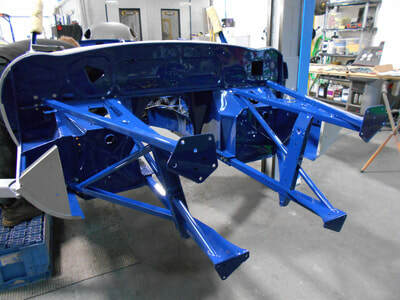 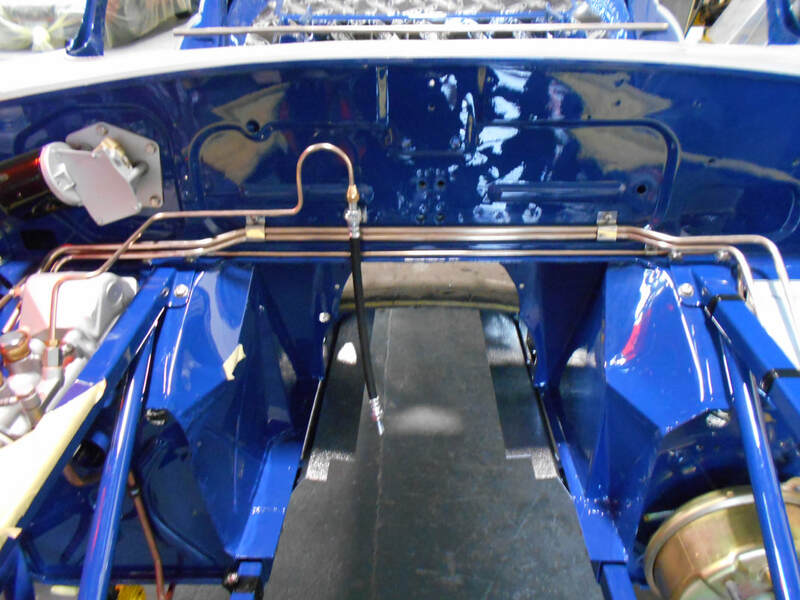 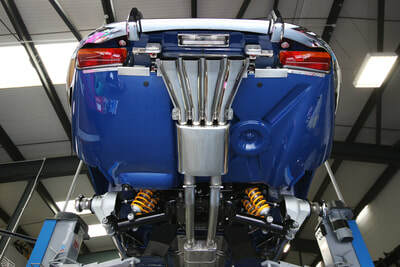 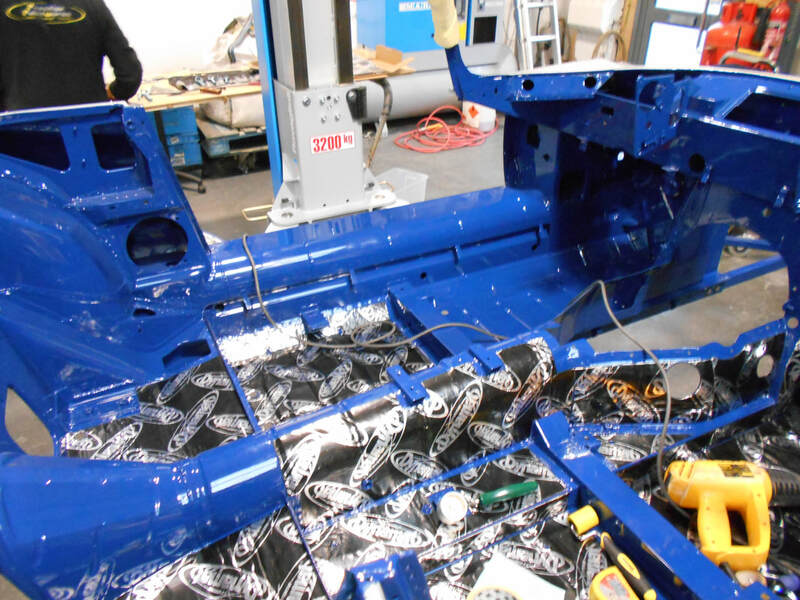 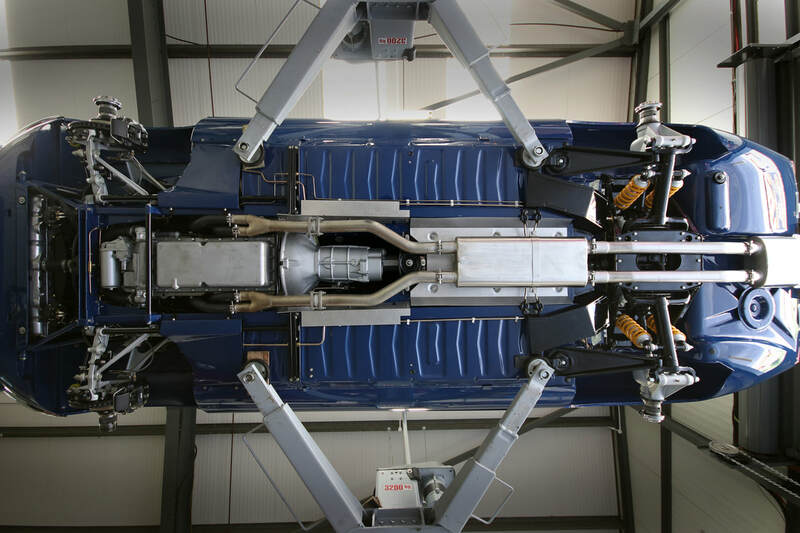 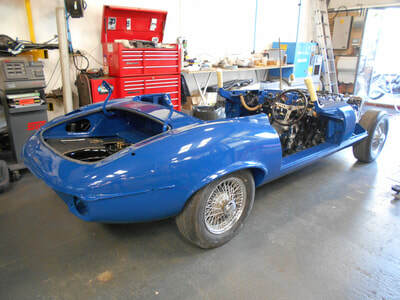 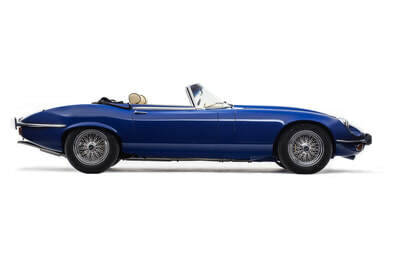 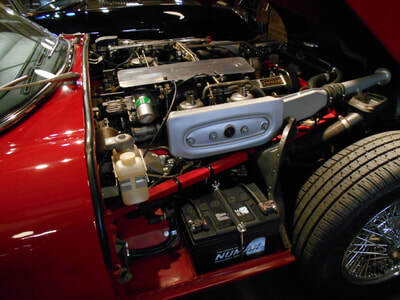 The car was then epoxy wet on wet primed prior to correct period Jaguar colour Azure Blue, with the underside, inside frameworks and engine frames and shell all being body coloured respectively. All the suspension and ancillary components were painted in Gloss Black 2k to give it a very classy look and is absolutely stunning. 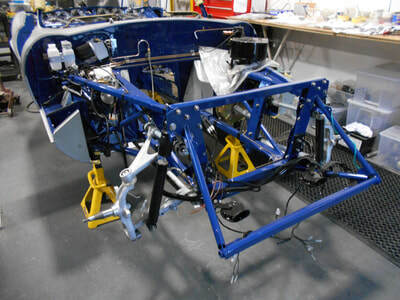 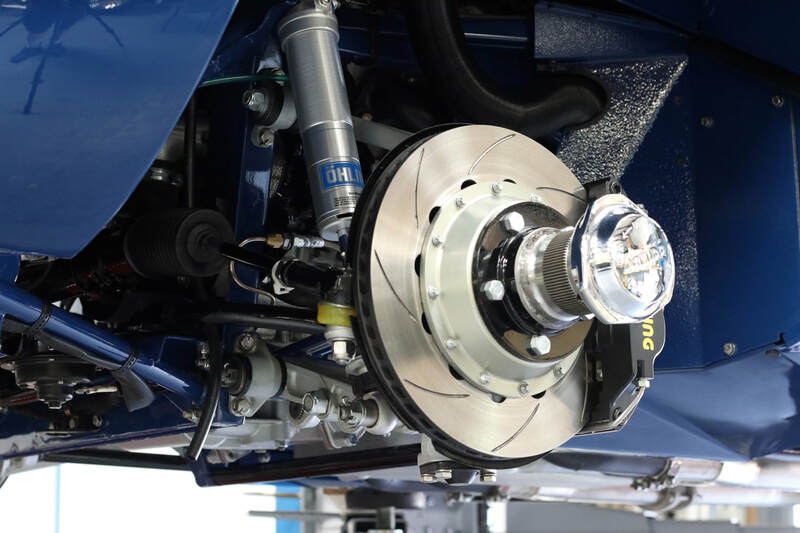 Once out of paint the mammoth refit began, this is a true 'nut and bolt' restoration, as seen in pictures - everything has been replaced, upgraded or refurbished; including custom Ohlins coilovers of which this was the first car in the UK to sport. 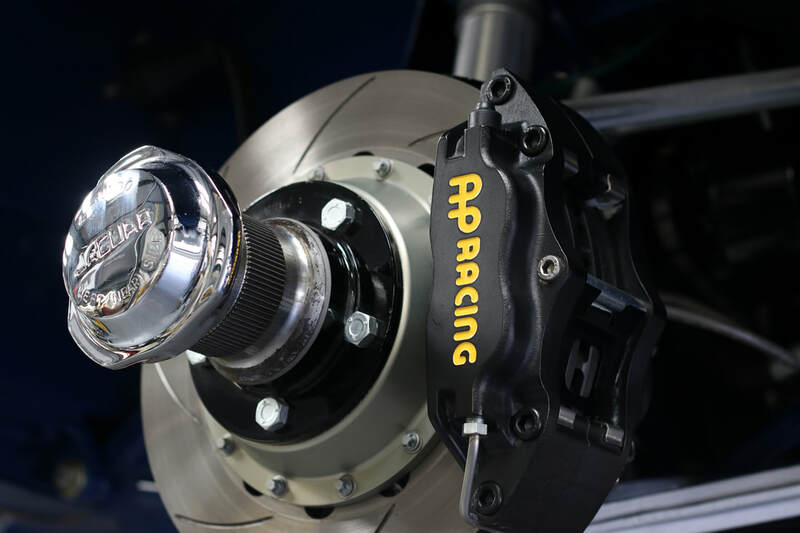 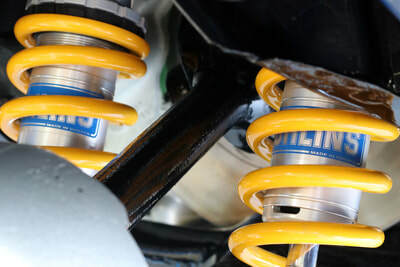 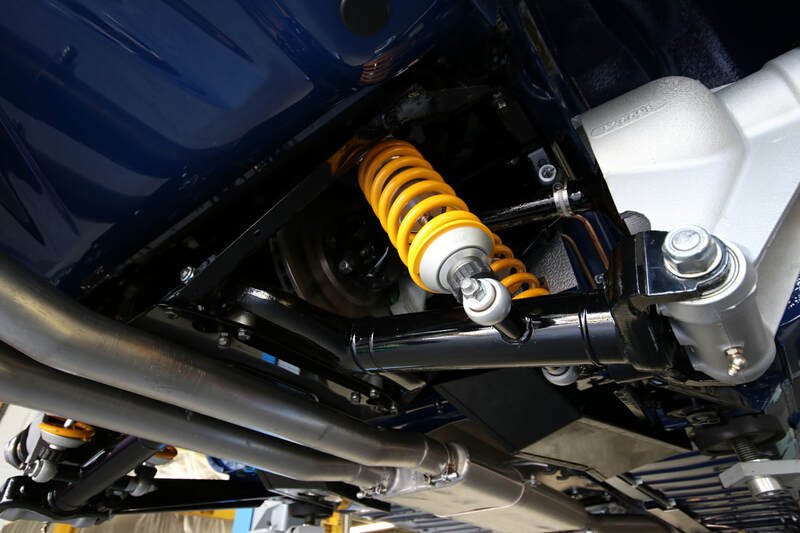 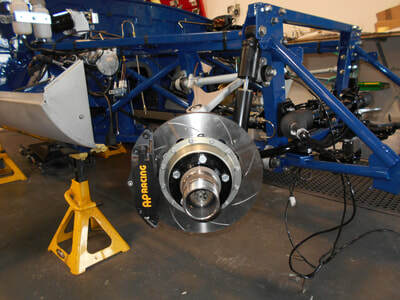 One off Turrino wires and Michelin Primacy's finish off the handling side of things. Interior reupholstered in cream leather with blue piping, a factory colour choice but with some aftermarket flair added. The car was delivered in October '18 after a shakedown period to identify and address any quirks that occurred during normal and prolonged road use. 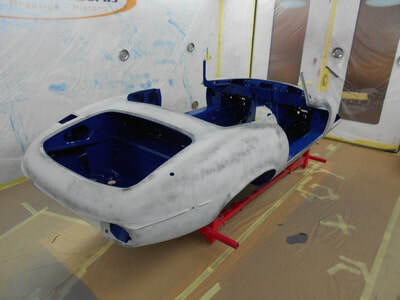 ​The only part left to paint is the factory hardtop.